Dr. Elizabeth Gitau has been appointed as the new CEO of the Kenya Medical Association (KMA). Dr. Gitau is a Strathmore University Business School (SBS) alumnus having graduated with an MBA in Health care management (HCM) in 2017. The MBA-HCM equips managers with relevant skills for leading and managing the various facets and challenges that confront professional hospital and clinic managers, managers of NGO and faith-based health providers, and professionals in the emerging insurance, pharmaceutical, biotechnology and medical device industries. 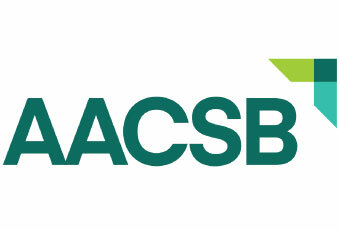 Students who graduate with an MBA in Healthcare Management have the academic grounding needed to move throughout health-related industries at different junctures of their career, and more importantly, gain life-long skills to respond to the fundamental changes that characterize African health care. Dr. Gitau joined KMA as a medical officer intern in 2013. In October 2016 she was elected as the Treasurer of KMA Nairobi division, a position she served to date. She is the KMA representative at the Association of Professional Societies of East Africa (APSEA). Prior to this appointment she was a senior lecturer at The Kenya Medical Training College having served for four and a half years. She undertook her medical officer internship in Murang’a County Level V Hospital and worked in the same hospital as a medical officer in 2014. Dr. Gitau completed her Bachelor of Medicine and Surgery (MBChB) from The University of Nairobi, School of Medicine in 2012. She is a DAAD alumnus and an Equity Leadership Program scholar. Dr. Gitau brings to KMA National Executive Council her medical expertise, business and resource mobilization skills and stakeholder relations expertise. 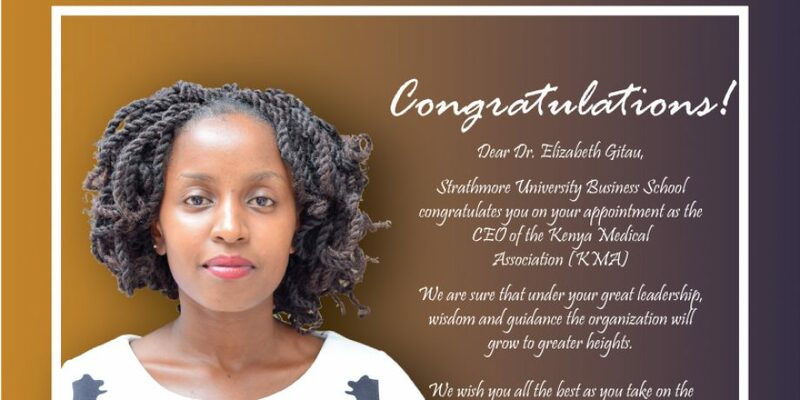 Congratulations to Dr. Gitau, we look forward to seeing the fruits of her leadership at KMA.